If you’re new to university life or simply continuing your university career, UBC offers an orientation program for you. Join thousands of other cheering students at a pep rally, or take in a sunset concert with your faculty – your first days on campus are important and we’ll make sure they are memorable! UBC’s orientation programs are your chance to connect with other new students, meet your professors, and get to know your way around campus. These orientations are designed to meet the needs of new students, transfer students, mature students, and graduate students. Campus tours so you can find out the best spots to study, eat, socialize, and rest. Faculty engagement so you can meet other students in your program, find out about faculty-specific resources, and meet your professors. Access to services and campus resources so you know how to find what you need after classes start. Entertainment, prizes, and UBC loot! Starting at a new university in an entirely new country can seem daunting. That’s why UBC offers orientation programs specifically for new international students. These orientations allow you to move in early and get settled before the academic term begins. Academic preparation so you can engage in faculty-specific group work and get comfortable in the classroom. Faculty engagement so you can meet with your professors before classes start. Social and cultural activities so you can make new friends and build your university community. Off-campus trips that allow you to explore your new city. Discover UBC and meet other Aboriginal students through the University’s orientation programs, including the Aboriginal Student Orientation on the Okanagan campus and the First Nations House of Learning Open House and Welcome Reception on the Vancouver campus. All First Nations, Métis, and Inuit students are welcome. 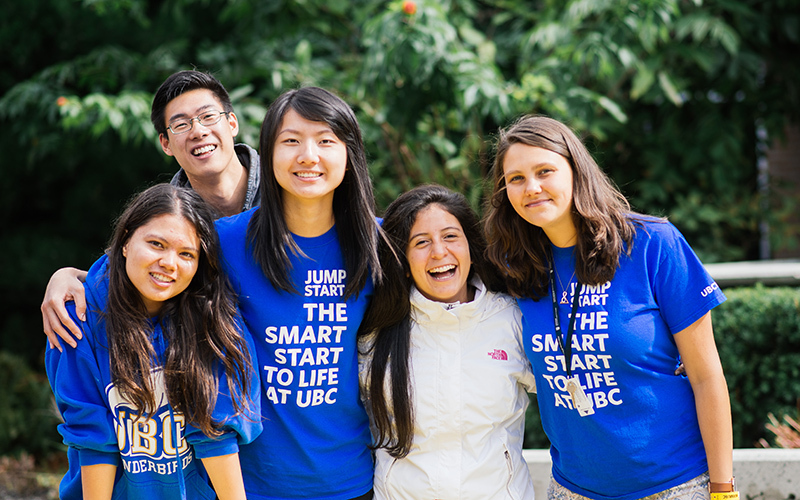 Explore your campus and find out how you can get involved at UBC. Find out about the communities on UBC's Okanagan and Vancouver campuses and discover a space for yourself. Explore the range of clubs and societies offered at UBC.